I announced yesterday that we are offering Country Living Early Bird Weekend Passes in a GIVEAWAY. I hope you will enter HERE. 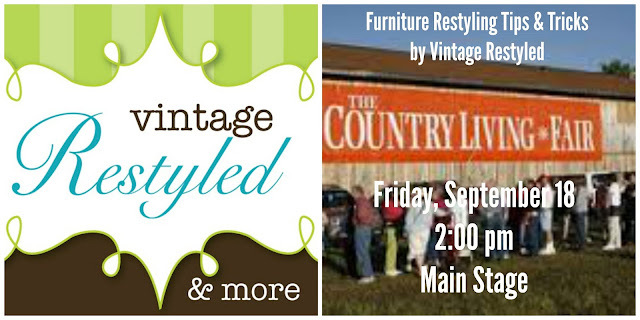 Country Living contacted me and asked me to do a presentation at the Fair! What? Can you believe it?! This is bigger than Christmas morning to a kid. I've been called up to the big league. So from now until next Friday, I will be figuring out PowerPoint and working like a mad lady.